Gotta open this week's post with a big announcement: I'm now in the official speaker lineup for TEDx Houston Saturday June 11th at the University of Houston. The official title of my presentation will be "Changing the Future of Cities, Organizations, and Education: What is Social Systems Architecture and why does it matter?" The bulk of the presentation will be about cities, including Opportunity Urbanism and the right commuter transit solution for Houston. Hope to see you there. Now to some smaller misc items this week. They've seriously backlogged in the last month, so I'll have to spread 'em over at least a couple of posts and probably more. I've been noting for a long time that trains - especially high-speed ones - are much more vulnerable to terrorism than planes or buses because of the hundreds of miles of essentially unprotectable track - a task on par with patrolling our border with Mexico. A well-timed rail explosion or cut can easily kill hundreds. Well, it turns out the terrorists are thinking along the same lines, based on materials found in bin Laden's home. ...the economic benefits of pumping previously inaccessible oil from fields that could collectively hold two or three times as much oil as Prudhoe Bay, the Alaskan field that was the last great onshore discovery. The companies estimate that the boom will create more than two million new jobs, directly or indirectly, and bring tens of billions of dollars to the states where the fields are located, which include traditional oil sites like Texas and Oklahoma, industrial stalwarts like Ohio and Michigan and even farm states like Kansas. Why transit is stuck at the 4% solution and can't get much better. Bottom line: it just takes far too long to get people where they want to go - cars get people there far quicker, even at the worst of rush hour. In case you missed it: Bill King's excellent op-ed on how Houston Metro is beating Dallas DART by investing in cheap, flexible buses instead of expensive, inflexible rail. Based on a new Brookings study. Metro's financial forecast is getting bleak. When will reality get acknowledged and the rail plan re-thought instead of plowing forward zombie-like chanting "The 2003 referendum is making us do it"? "The lesson of the previous decade seems clear: if you take a previously prosperous and creative state (CA) and subject it to high taxes and intrusive regulations, it loses 5% of its private sector jobs; if you take a previously somewhat less prosperous and creative state and govern it with low taxes and light regulation, it gains 9% more jobs, even as the nation’s economy is suffering." Kleiner Perkins venture capitalist Bing Gordon called for the gamification of education, including need for hundreds of public domain educational simulations or games for students to use. THE hot topic was blended/hybrid learning, combining the best of computer-based learning with in-class instruction. Several of the most innovative schools pushing this frontier were there to share, and they are getting incredible results. Another Kleiner Perkins VC - and Rice alum - John Doerr interviewed billionaire Facebook founder Mark Zuckerberg on stage for us about a wide range of topics, including his $100m philanthropy in Newark schools and how social networks might impact education. The COPPA law currently keeps Facebook from allowing kids under 13 from joining, but they seem to be doing it anyway. His advice on entrepreneurship: only hire people you would work for yourself. Entrepreneurial guru Steve Blank talked about the power of an alternate model to entrepreneurship (including education entrepreneurship) called the Lean Startup. Reed Hastings, CEO of Netflix, asserted strongly that education reform has been stuck for decades. There have been improvements, but then they fade away and it all oscillates back and forth with no real progress. He even specifically mentioned Rod Paige and Houston. He blames the way we elect school boards (lack of continuity and stewardship, just a career stepping stone for politicians), and called for all schools to be converted into nonprofits that compete. I also was able to tour a math class in Los Altos using Khan Academy for online learning one hour a day. The amount of learning going on was amazing. Some kids were up to Algebra and Trigonometry, and one finished all the way through Calculus. Um, did I mention that this class was fifth grade! Absolutely incredible. BTW, Sal Khan's TED talk video is very highly recommended if you want to understand how utterly transformational this approach is to education. As for my thoughts on how we can reform faster to the future of education, check out my blog post for the summit here. It got very positive feedback. In fact, I'm doing research for a potential educational technology startup related to what's in that post, and I'm very interested in talking with people in the trenches of K-12 education, most especially teachers. If you are (or know somebody who is) and would be amenable to a short phone interview, please email me at tgattis (at) pdq.net . Your help would be deeply appreciated. Before we get to this week's misc small items, just a quick note that I'm going to be traveling on business and may miss the next couple of weeks' posts, probably to return the 24th. 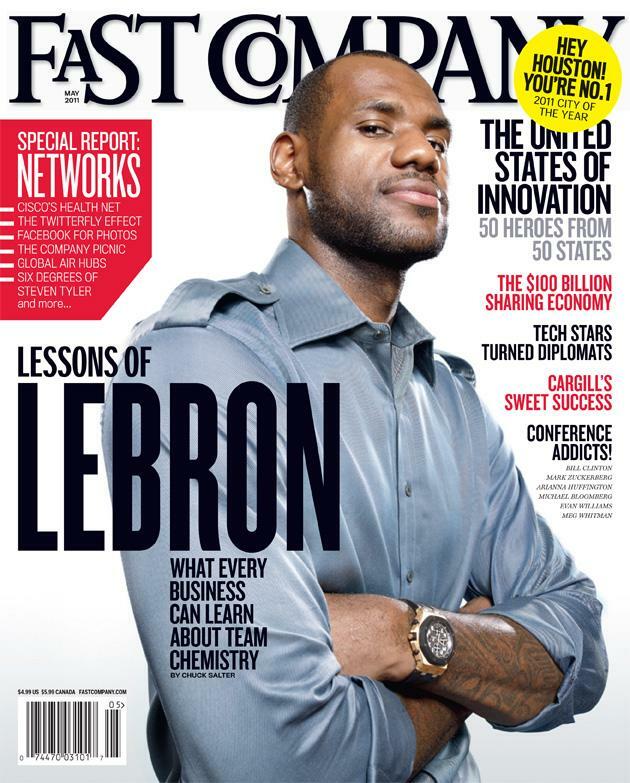 Fast Company has named Houston their 2011 City of the Year! Quite a large honor. After being a subscriber for many years, it's good to finally see us get our due. Houston Business Journal coverage here, and the cover image here. Woo-hoo! Rent.com has rated Houston the #1 city for bachelors. "Rent.com says the cities to make the list have a high single female-to-male ratio, a vibrant nightlife, a low divorce rate and a low cost of living." New Geography on how people respond to increased energy prices, but not by using more public transit - and how trying to shift people to increased density and transit usage is generally futile. I believe there can be an exception though in the case of convenient, well-run, express point-to-point commuter transit using HOT lanes, because the time loss can be minimal (or even a gain if traffic is bad enough) and it creates the opportunity for email productivity that driving does not. Joel Kotkin and Michael Shires at New Geography also just released their 2011 Best Cities for Jobs, and Houston is #3 on the large cities list behind Austin and, more surprisingly, New Orleans. Texas scores a very impressive four of the top five. Houston the #2 metro in the country last month for adding jobs (behind DFW). Hat tip to Nick. "You can't build in California, you can't manage in California and you have to pay a big tax," Mr. Puzder told the legislators. "In Texas, it's the opposite—which is why we're building 300 new stores there this year." One speaker from California shook his head in wonder: "You can have the most liberated lifestyle on the planet, but if you can't afford to put gas in your car or a roof over your head it's somewhat limited." Finally, blog reader Mark emailed me suggesting this Houston slogan: "Houston: It's Not For Sissies" Feedback/thoughts appreciated in the comments.